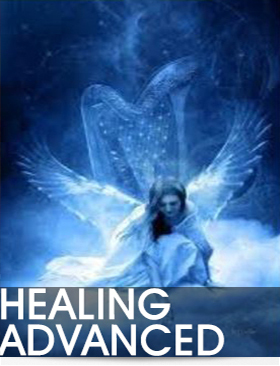 Please note that I am not yet a teacher of the course Seraphim Blueprint Healing Advanced, I simply want to supply the prospective student with the information on this important class, taking the healing aspect of Seraphim Blueprint to new levels. This course supports those who do healing work, and it is also beneficial to any Lightworkers who teach and have a close interaction with students. And if self-healing is the primary goal, the expanding initiations are helpful as well. The heart-opening Love and Gratitude attunements provide self-healing on a deep level. The energies are also focused on making deeper connections with those with whom we assist by interacting with their guides and angels, as well as our own. We gain deeper access to the Life Force Energy and to the Divine Harmonizing Energy introduced in Level I. The initiations increase your ability to respond with individual solutions for each person. In addition to more options being available to us, our ability is strengthened to tune in to what other people need most. Some of the initiations enhance Loving interaction (with self and others) and appreciation and gratitude. Other topics in this course include harmonizing the flow of energy and information in our energy bodies; improving the ability to interact with the guides and angels of clients and students to have a deeper understanding of best methods to assist in healing or communicating; enhancement of the hands on and distant energy transmission abilities; bulk crystal energizing, empowering crystals with additional specific energies; blending the energies for healing ability and establishing vitalizing grids distantly. A new Auto Mix initiation removes any insecurity that may exist when deciding what healing vibration is the most suitable for others. Brenda Calvin © 2014 All rights reserved. This material may not be reproduced, displayed, modified or distributed without the express prior written permission of the copyright holder.